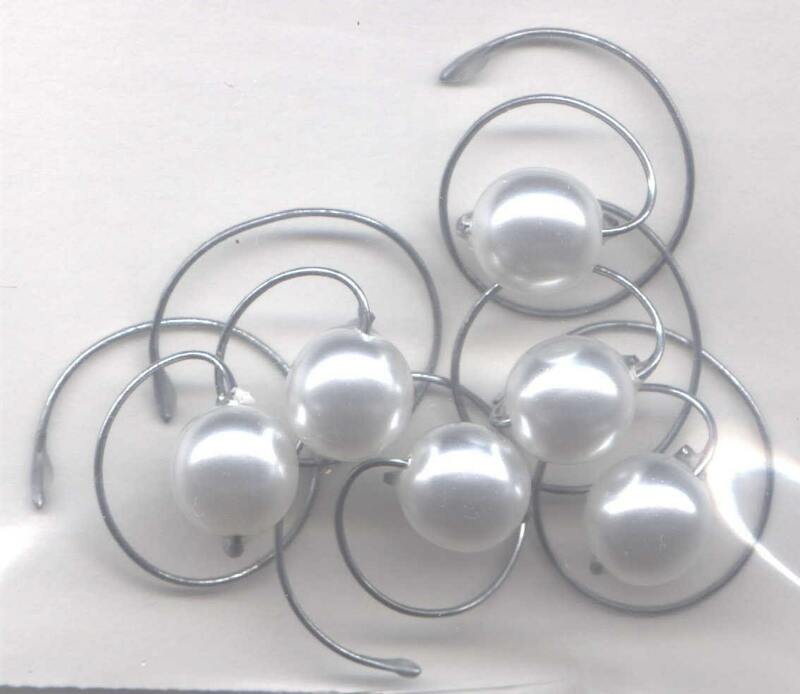 Beautiful White Simulated Pearl Hair Swirls. The pearl is about 8mm in size and is mounted on a sturdy tarnish resistant silver tone wire. Whether you call them hair Twists, Wedding Spirals, Spins, Coils,or hair jewels these would be perfect for a bridal party. Spectacular for bridal parties or any time you want a little extra pizzazz in your hair. Just twist them into your hair and right back out again. So simple to use and so elegant to wear. 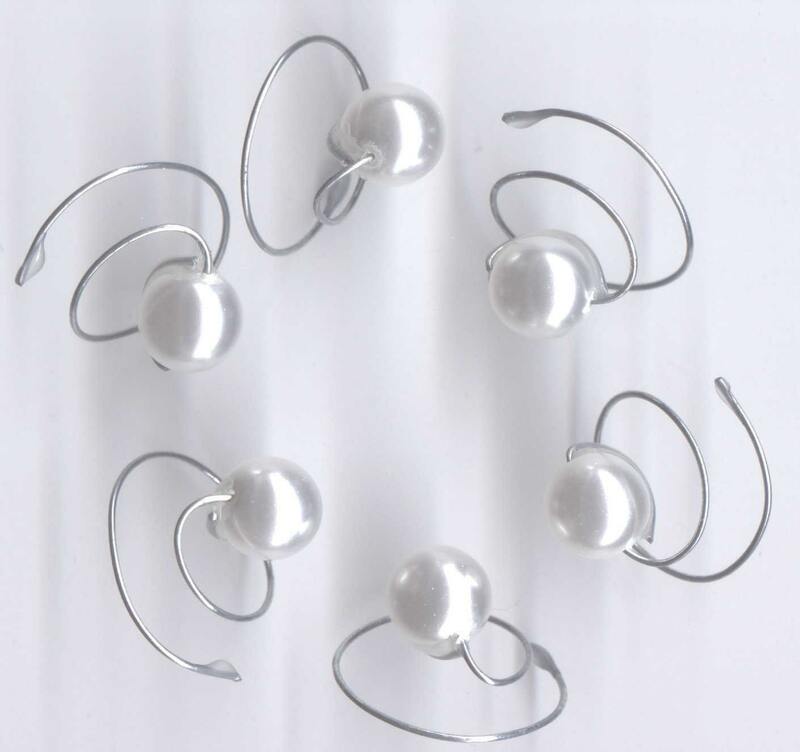 Set of six hair swirls. These also come in light pink, deep pink, aqua blue, silver gray, bronze, and don't forget cream or white for the bride. You can see how these can be used with or without a veil. Perfect for bridesmaids. The other colors will soon be listed. If you don't see your color or you need more than one set please ask. Very pretty! I'd buy from this seller again.